Millington, TN (February 27, 2017) The 2017 Summit Bracket Series presented by COMP Cams opened its season on Sunday, Feb. 26 under sunny skies with hot action on the track. The event featured racing from five divisions - the Rick's Powder Coating Box, Foster's Towing & Salvage No Box, RT Turbines DOT/Street and RT Turbines Junior Dragster. The R. T. Turbines Junior Dragster class had its the largest field for an opening day of the points season since 2014. It featured the return of Sophie Newberry of Weiner, Ark. and Devin Johnson of Collierville, Tenn. to make their run at the track championship. Some of the new faces included Christina Morris of Burlison, Tenn.; Brayden Otts of Byhalia, Miss. ; Tanner Melton of Gleason, Tenn.; and Hunter Ray of Covington, Tenn. The day also saw 2016 champion Tara Taylor of Somerville, Tenn. and strong contenders, Brianna Moore of Millington and Devan Lowe of Covington, Tenn.
Brianna Moore would make her way into the finals with a perfect reaction time in a semifinal win over Tara Taylor. She was joined in the final by Tanner Melton, who scored the win over Devin Johnson as both racers had break-out runs, but the better package went to Melton. Melton had a better reaction time at the tree, but Moore drove around for the win. Melton ran a 12.062 time on an 11.96 dial-in with a .076 reaction time to Moore's 8.031 on a 7.99 dial-in with a .132 reaction time. R.T. Turbines DOT/Street, the only 1/4-mile class on the day, was filled with new racers, returning racers, and veteran racers all looking to take the early lead in the track championship. First-time racers to the points program included Mary Johnson of Covington, Tenn., Nicole Sanders of Henning, Tenn., and Billy Kinnard of Antioch, Tenn. Returning track champion, Tommy Jackson, came back to defend his crown, while and former champions Cliff Hubbard and Billy Foster, Sr. were looking to take the title back. It made for great action throughout, from round one to the finals. Chris Foster of Brighton, Tenn., the track's 2016 rookie of the year, would take the win over Randy Franks in the semifinals to set up a showdown with his father, Billy Foster, Sr., in the final.The all-Foster final, father-son, former champion-reigning rookie, no matter how you cut it, was for bragging rights. Chris Foster, the 2016 rookie of the year, won it at the tree as Billy Foster, Sr. red-lighted with a -.013 reaction time. The Foster's Towing & Salvage No Box class had the defending champion, past champions and new chasers for the title, which made each round very important. With a double entry, first and second round buy-back on the table to get the end. Would those that out-lasted, out-raced and moved on need to take advantage of the buy-back? Defending champion Kyle Rumley would be a little too anxious in round one going red, followed by a round two close one that knocked him out of the hunt. But, Goldie is reliable and we look to see Kyle back in the hunt by race two. David Elam would face another former track champion Caffey Broadus in the semi finals - winning the race at the starting tree. The second matchup would also be won at the tree between Jeff Thompson over Troy Poindexter. The stage was set for a showdown between former track champion, David Elam of Covington and Corinth driver Jeff Thompson in the finals. Thompson's 1980 Monza dialed in a 6.38 to Elam's 1990 S-10 6.52. The win would come at the tree as Thompson had a .010 reaction time running a 6.40 with a 7 to Elam's .040 reaction time running a 6.52 with a 4. Rick's Powder Coating Box Class field had a packed field of entries. 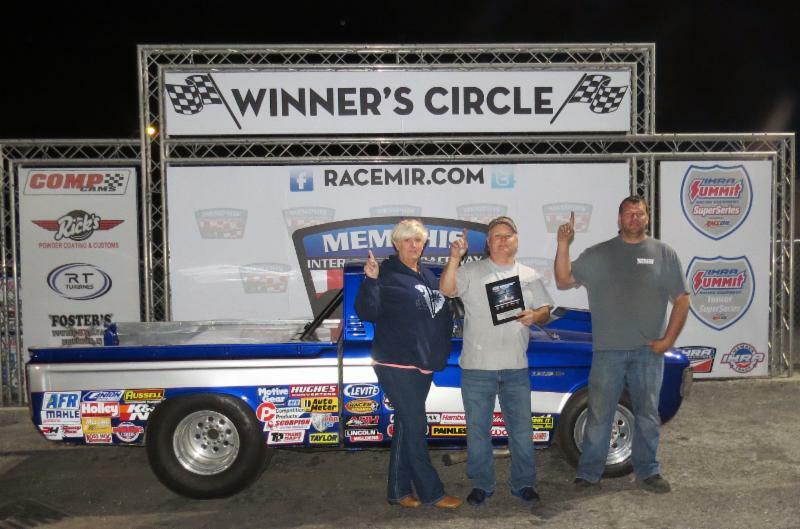 It included three former track champions, former rookie of the year, former Summit SuperSeries champions and runner-ups, IHRA Summit Team Finals champion and two former Sportsman of the year winners at Memphis. Facing the best of the best, drivers had to be on their games to go rounds. Former track champion Rusty Ashmore, of Como, Miss., who went winless last season, was paired against young gun Clay Combs of Bells, Tenn. in the semifinals. With both drivers winning at the tree round-after-round, it was a showdown on who would reach the finals. Combs had it at the tree with a .016 reaction time to Ashmore's .017 but gave it back on the top end running a 4.80 with a 7 to Ashmore's 6.63 with a 4 on a 6.62 dial-in. Michael Hall of Olive Branch, Miss. had an uncontested run to the finals in the second semifinal. The stage was set with two former track champions, both winless in 2016, ready to change their fortunes in the new season. Ashmore dialed a 6.62 with Hall dialing a 4.84. The win would go to Ashmore at the tree with a .007 reaction time running a 6.62 with a 5 to Hall's .008 reaction time running a 4.87 with a 2. 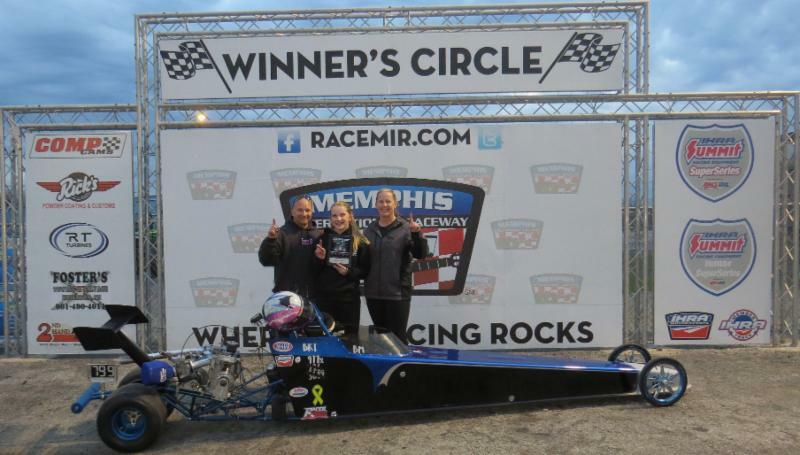 "This was a great day of racing," said Dominic Blasco, director of operations for Memphis International Raceway. "First race out of the box, we had a good car count, great team working together to bring the best program we can to the racers." The next scheduled Summit Bracket Racing Series presented by COMP Cams is scheduled for Sunday, March 12. 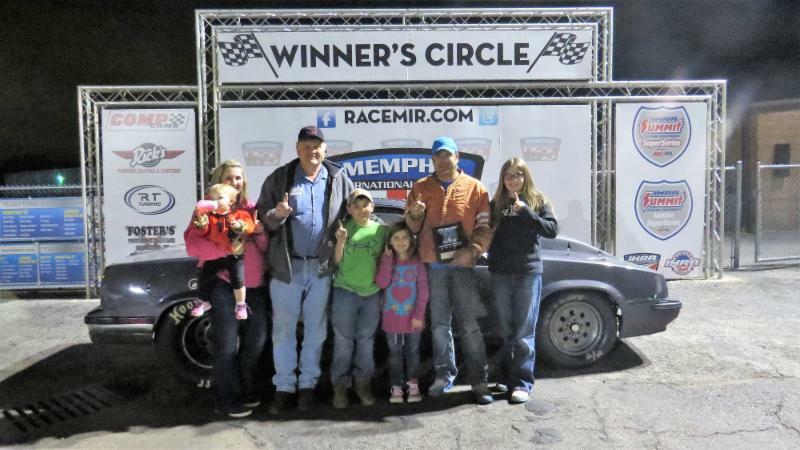 Next weekend, Memphis International Raceway will host its first race of the Triple Nickel Series with $5,000 to win in both Box and No Box. For complete event details visit our website onwww.racemir.com or stay connected on Facebook, Instagram and Twitter!